Last month Yarra Warra Pre-school had a lot to celebrate. Not only is 2011 the North Warrandyte pre-school’s 20th anniversary, but it is also a milestone for three-year-old teacher, Sue McIntyre, who has dedicated the past 20 years to teaching and inspiring youngsters at the pre-school. The North Warrandyte and Yarra View pre-schools merged in 1995. There has been a pre-school on the site since the 1960s. 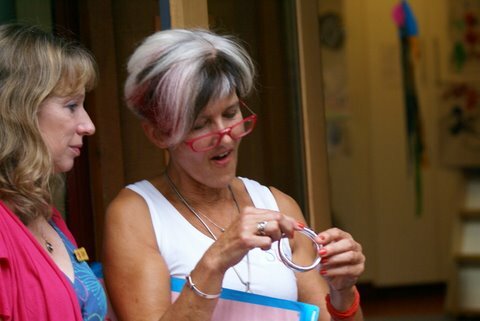 At the pre-school’s annual welcome back barbeque last month, staff and committee members presented Sue with a silver bracelet from Ruby Tuesdaywith the engraved message, “Love from all the Yarra Warra families”. On the night, Sue also received a large card that past students, families and colleagues had signed, congratulating her on her 20 years at Yarra Warra. The card also contains photos and drawings by the kids. One parent wrote in Sue’s card, “It was a privilege having you work with my three children.” Past students also wrote messages revealing they wanted to come to kinder “just to spend time with Sue”, while other students had nicknamed her “Smiling Sue”. A pleasant surprise: Sue is presented with a silver bracelet from Ruby Tuesday at the Annual Barbeque. "It was so unexpected - what a wonderful group of people to organise this!" Sue said. Sue McIntyre, who is also a professional artist, says she loves working with children, and that seeing the smiles on the children’s faces everyday brings her so much joy. 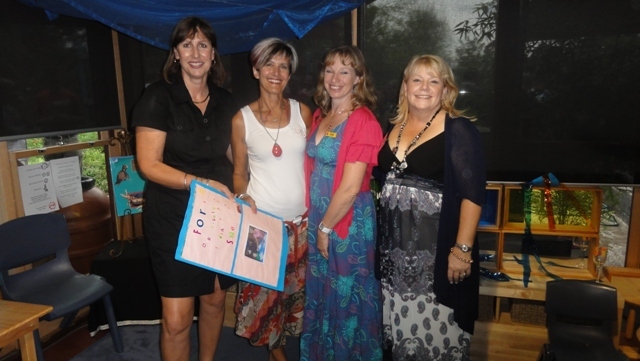 The Yarra Warra Pre-school teachers – Connie, Meegan, Kaye, and Sue – are all best friends and Sue has taught all their children, which is why they say there is an “emotional connection” and the pre-school has “a family environment”. Sue was teaching at the pre-school when four year old assistant Kaye Versteegan’s daughter attended many years ago. Sue also taught Connie and Meegan’s three year old children when they attended kinder. “My 21 year old still talks about Sue,” said Meegan. 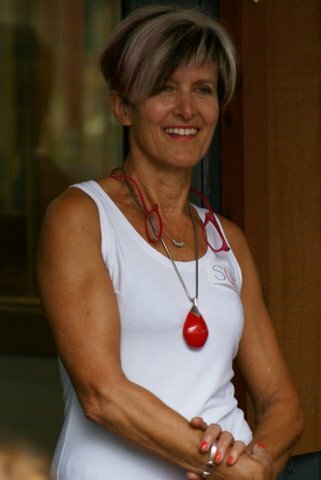 Colleagues describe Sue as a “creative”, “nurturing” and “sensational” person who has “a natural gift” with children. Teacher Connie Solty, said working with Sue was “a dream come true” and she admires Sue’s kindness and gentleness. A family environment: Connie, Sue, Kaye and Meegan with the card full of messages for Sue. "I will treasure these kind words and memories forever," Sue told the Diary. Sue was teaching at Yarra Warra when the North Warrandyte and Yarra pre-schools joined in 1995 and also when the pre-school burnt down in 2002.